Hey guys. Thought I was done with the bike scene. 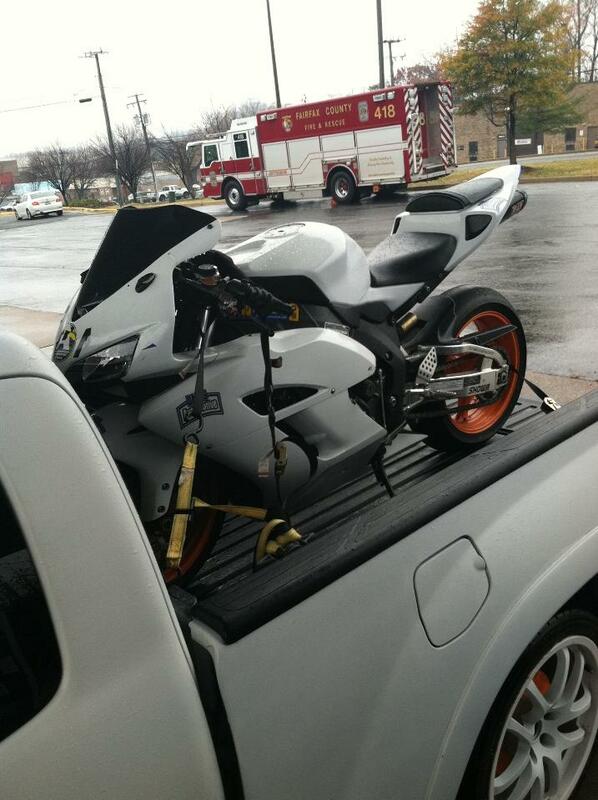 But found this 05 rr for a good price. As you can see the sub frame was slightly bent up on the left side. Easy!!!! Torch and a metal pole. It needs some work but for 3grand with only 6000 miles. Couldn't beat it I thought. 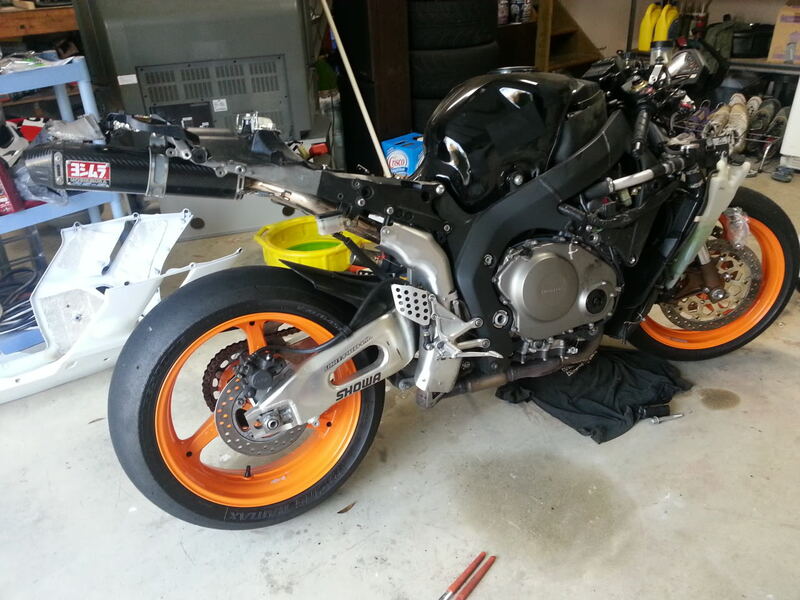 Been looking at fairings from automact. Saw some good reviews lately. Anything else I should know about these? Used to 600s. yeah, they are super torquey and a little less responsive than 600's due to size. for fairings, check customcyclepros.com. they are about the best out there for aftermarket and you can call and talk to them. 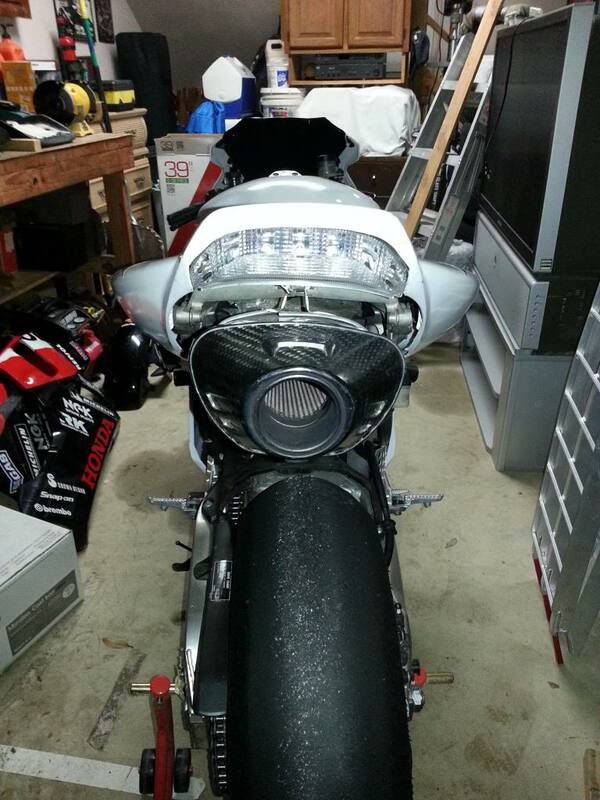 normally about 600 bucks shipped, and not much refitting needed which is pretty good for ABS plastic asian fairings. if you have the cash, go for a set of sharkskinz or airtech streamline fiberglass. 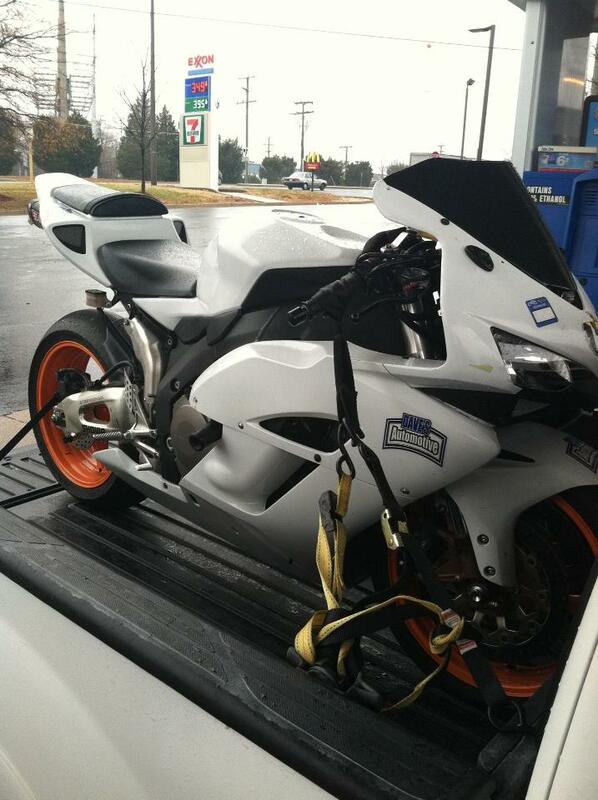 the custom cycle guys will also paint any scheme that you want from any bike on any set of fairings. same price.